The AHS’s Eagle’s Eye will see you in September! This entry was posted in Home on June 30, 2014 by abeeahs. Attleboro High School’s 2013 boys’ soccer team had an interesting season going 6-0-6, which is six wins, zero losses, and six ties. They started off undefeated when an unusual situation occurred. The Bombardiers were stripped of all their points in Oct. It turned out that Attleboro had a player, who was 19 years of age. He didn’t have a waiver form from MIAA saying that he could play because he was not aware of this procedure. Once the MIAA heard the news they stripped the team of all their wins. After that, the Bombardiers went from first in the league to dead last. This was a major setback for the team as they had worked hard for those wins and to have them all stripped away, was a super emotional blow for the boys. 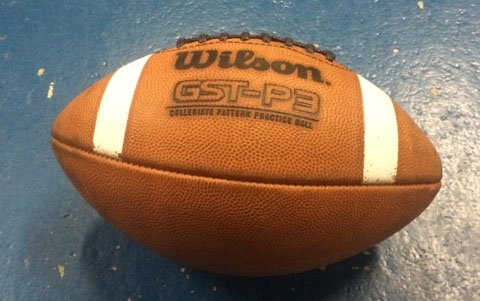 “When we were told the news by Coach Pereira all of us just broke down in the middle of practice,” said junior Jason Ross, but this just turned into a reason for the team to keep working hard and turn the season around. Even in last place, Attleboro again picked up the pace and qualified for the state tournament. With that difficult season and all the conflicts, the team is still looking forward to competing in the fall of 2014. The returning starters are: freshman Lancaster, sophomores Cocoa, and Rodrigues, and juniors Luke Chomyszak, Ben Chomyszak, Pablo Morales, Lameiras, Matt Rodrigues, and Ross. For more information on soccer camp, contact Coach Peter Pereira at www.PeterAPereira.com. 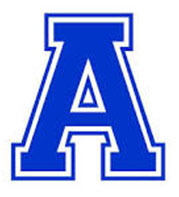 This entry was posted in AHS Sports, In & Around AHS, Sports, Teen Interest and tagged 2013-2014, AHS, AHS sports, Attleboro, Matt Rodrigues, Soccer on June 29, 2014 by abeeahs. AHS has been the location of many great clubs such as the Gay Straight Alliance, Leo Club, Environmental Club, and the Interact Club. Its latest club, Pathways to Prosperity can now call AHS home. 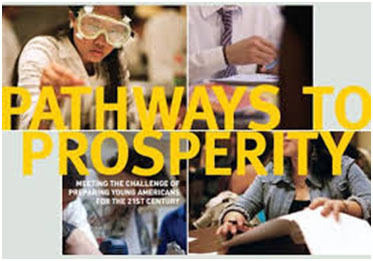 Pathways to Prosperity is a program based at Harvard Graduate School of Education, which was created in order to establish a connection that would accommodate all high school graduates with occupational opportunities that would fulfill them as individuals. This new program at AHS is an attempt to support students to begin thinking about possible careers from their freshman year in high school up through their senior year. AHS Seniors Mamanding Nasso, Samantha Tingue, Gartay Nyguen, and Junior Kaylee Santiago were chosen, based on their hard work and scholastic determination, to work with Harvard professors and the group’s leader advisor, Tshepo Malete, over the summer. AHS senior Mamanding Nasso joined the club in order to “help guide students who aspire to make something out of their lives after high school.” Nasso plans to attend the University of Rhode Island in the fall where she will major in Biology. She hopes to bring the skills and information she has acquired from the club into her academics. Pathways to Prosperity seeks to reach out to incoming high school students who are new to the whole college and post-secondary process. “[Focusing] mainly on eighth graders and high school undergraduates will help [us] guide and build future leaders for our country,” says junior Kaylee Santiago. AHS has been used as a stepping stone for expanding this relatively new club. Malete and the other club members hope to incorporate guidance counselors, who will be entrusted to help students find and visualize what they aspire to be beyond high school. Pathways to Prosperity takes place every other Tuesday in Ms. Shelia Rosa’s class, room 114A. All are welcomed and encouraged to come and see what they can offer to the world. This entry was posted in Home, In & Around AHS and tagged 2013-14, Attleboro High School, Clubs, Harvard University, Pathway to Prosperity, Samantha Tingue, Sheila Rosa, Tshepo Malete on June 28, 2014 by abeeahs. Michael Sam is the first openly gay player to be drafted into the NFL. After his draft, ESPN showed a video of Sam kissing his boyfriend. They then showed the crazy reaction at Nellie’s Sports Bar, which is a gay bar in Los Angeles. Many players commented on Sam’s draft, as well as ESPN’s decision to show Sam and his boyfriend and then the gay bar. Miami Dolphins Safety, Don Jones, tweeted “omg” speaking in regards to Sam being drafted. He then tweeted “horrible” after ESPN showed Sam kissing his boyfriend. It’s bizarre to think that an NFL player would tweet something like this. It’s very immature of Jones. ESPN showed every player’s reaction after they were drafted and their happiness. They did not pick and choose based on race or sexual identity. If almost every player drafted is shown kissing their wife or girlfriend, why is it any different for Sam? It isn’t. This situation as a whole shows that some people in the NFL are insecure and feel the need to say unnecessary comments. Jones was disciplined by his team, which he deserved. He also apologized to Sam, which I think was a smart move by Jones. Sam is very brave to be who he is and do what he did. He should not be harassed but praised by other players and fans. This entry was posted in Home, Opinion, Sports and tagged 2013-14, football, LGBT, LGBT in Sports, Michael Sam, NFL, NFL Draft, Nick Desmarais on June 27, 2014 by abeeahs. The 2014 FIFA World Cup in Brazil started on June 11. The finalized rosters came out on May 22 including the one for the U.S. and there was a big surprise in the final roster. Landon Donovan, one of the most popular American players in the game, has been part of the U.S. team for 12 years. However, he didn’t make the final cut for the roster going to Brazil. Whether it was his age that was a factor or just his playing ability, the former face of U.S. soccer is no longer on the team. Donovan played a huge roll for the U.S. team. He was the all-time leader in both scoring and assists for the national team; the striker is also the fourth youngest player to reach 100 caps for his country. Whenever Donovan was on the field he would always bring that spark that would have the team going and have them pushing for the extra minutes to win a game. Donovan’s career took off as he led the San Jose Earthquakes to a Major League Soccer (MLS) championship in 2001 after being the worst team in the league the prior season. It was shortly after that Donovan was selected for the U.S. National team for the 2002 World Cup. He helped the team advance to the quarter-finals for the first time since 1930, scoring two goals that launched his popularity in the U.S.
As Donovan advanced his professional skills, he impressed even more Americans by winning the 2003 MLS championship again. After this big accomplishment Donovan was named All-Star MVP and the U.S. soccer athlete award of the year. After trying to go overseas to play, Donovan decided to return to the U.S. and join L.A. Galaxy. Donovan was the Galaxy’s main player on the team and was able to score sixty goals and sixty assists in his career. In 2010 Donovan helped the U.S. team through the second round of the World Cup. Donovan’s had some very big accomplishments in his professional career and is still playing and leading by example for some of the younger guys who come into the league. Although Donovan was cut from the 2014 U.S. World Cup roster, he is still a big part of American soccer and always will be. 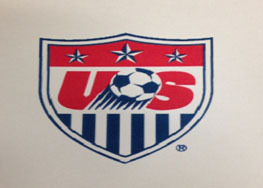 This entry was posted in Home, Sports and tagged 2013-14, 2014 FIFA World Cup, LA Galaxy, Landon Donovan, Matt Rodrigues, San Jose Earthquakes, Soccer, US Soccer, USMNT on June 26, 2014 by abeeahs. 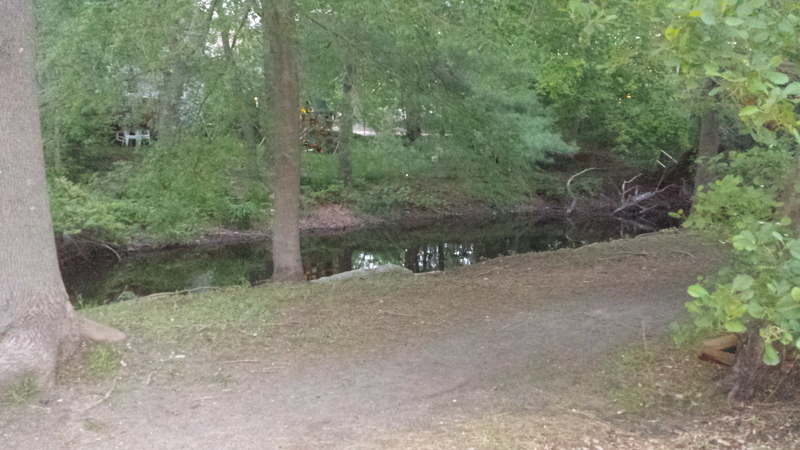 On Monday, April 14, 2014, the Gateway City Parks Program granted the city of Attleboro $300,000 in order to redesign the highly polluted Ten Mile River at Wall Street, in efforts to enhance the city. I feel that it is wonderful for our city to fix up the highly polluted Ten Mile River. However, why not use that $300, 000 on something more beneficial to our community and future generations? Don’t get me wrong; helping our environment, starting with improving the River, is a great way for the community to help preserve the world and nature’s beauty. On the other hand, I feel that with the amount of budget cuts going on in our education system, a portion of that $300,000 should be given to specific educational systems or organizations. The efforts to beautify the River and community may be a substantial economic boost for the City of Attleboro; however, society should focus more on improving the future leaders of this country, starting with our academic systems. Focusing on our educational systems and increasing the funds available to schools will help to guide students to become great leaders and individuals, who will help improve the world and community down the road. The way I see it, if society is able to focus on our children, the leaders of the future, then our environment will thrive in return. This entry was posted in Home, Opinion and tagged 2013-14, Attleboro, funding, pollution, Samantha Tingue, schools, Ten Mile River on June 26, 2014 by abeeahs. Now that the weather has finally decided to warm up, new trending styles of clothing are seen everywhere, from parachute pants to high wasted shorts, cropped tops to onesies, and maxi skirts to dresses. These styles are a replay from the 1980-90s with fun, bright new patterns such as tribal, animal and floral prints, denim, and more. Fashion savvy stores that sell these new trends are Forever 21, H&M, Charlotte Russe, PacSun, and Urban Outfitters, and catch all teens’ attention with their window displays of Bohemian chic outfits mixed in with hipster and a dash of the skater girl look. The parachute pants were given that name because of the roominess inside and the puffed up look. Cropped tops are fitted shirts that are basically cut in half and usually worn with any high wasted bottom to avoid tucking in normal sized shirts, which give a clumpy look. Seventeen Magazine’s website <http://www.seventeen.com/fashion/> provides lots of tips and Look Books on how to put outfits together for any season. One of the coolest new styles is the high wasted bottom: shorts, skirts, and pants. No accessorizing is necessary, so throw away all those clunky belts. 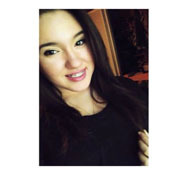 This entry was posted in Columns, Home, Teen Interest and tagged 2013-14, cropped tops, Emily Fernandez, fashion, Fashion with Em, high-waisted shorts, parachute pants, Seventeen Magazine, summer fashion on June 26, 2014 by abeeahs.